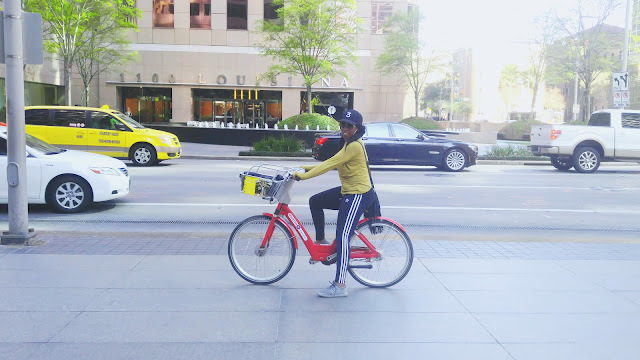 Inspired by my recent trip to Caye Caulker, Belize, I started my day with a relaxing, hour-long bike ride through downtown Houston. 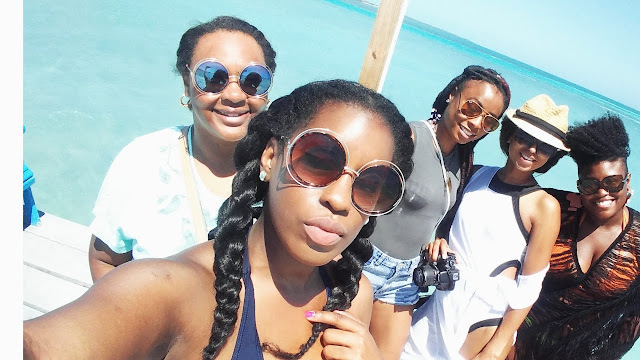 The trip to Caye Caulker was a super fun, incredibly adventurous girl's vacay- a bachelorette trip, in celebration of my friend, Sunita's upcoming nuptials. During the trip, I was forced to face a few of my fears: 40 min boat rides on tiny boats from one island to the next, etc. More on that in upcoming blog posts. The 9 of us spent four incredible days dancing, laughing, hopping in and out of boats, joyriding golf carts (the only mode of transportation on the island, other than boats and bikes) & maneuvering bicycles throughout the tiny, 7-mile island. Our adventures in Belize left me with a new found, insatiable urge to enjoy nature and fresh air. More on our trip to Belize to come in future blog posts. I've never been the outdoorsy type, due to my severe allergies, nor have I ever been brave enough to go on any trips that would be considered "adventurous." Thanks to my husband, Calvin, I've enjoyed luxurious vacations in 5-diamond hotels for over 13 yeas. (Humble Brag-sue me!) To date, we have stayed at 20 different Four Seasons Hotels & Resorts throughout America and Europe, including the world famous George V Four Seasons Hotel, in Paris, France, and The Four Seasons Hotel at London Park Lane. Shout out to incredible staff at The Four Seasons Hotel Houston! Obviously, our trip to Belize was more adventure than luxury, which forced me to focus on a number of other things. Don't get me wrong, our digs, the Low Caye Cottages were wonderful, extremely accommodating, and swanky in their own way. I loved that there was a pool, and more than enough room to sleep our entire crew comfortably! I didn't want to leave them. Reflecting on the recent bachelorette trip to Belize, and our unforgettable adventures on the island, I'm reminded of the real Syretta-spontaneous, worry-free & high-on-life! 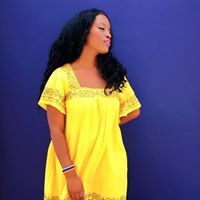 Recalling the power of the Belizean sun's incredible energy, the Caye Caulker breeze sweeping across my face and body, I realize that I've experienced an awakening during our trip to Belize this week. As a result of my awakening, I've made a promise to myself to live intentionally; accepting what nature has to offer-even bugs, no matter where I am in the world. Therefore, I am going to challenge myself to partake in weekly bike rides, on the bicycles sporadically placed throughout downtown Houston, available through Houston Bcycle. I am excited to embark on this new journey, of enjoying the outdoors, and finding peace in nature. I'll be sure to post more videos and updates of my adventures. In the coming weeks, I'll be sharing more on our trip to Caye Caulker, Belize; including my favorite hangouts and restaurants, and possibly my very own trip guide. Stay tuned! I'm glad you enjoyed your time in Belize and I can't wait to hear more about it! I love adventurous vacations, although that hotel in Paris sounds like a dream too! Wow this sounds like you had such a blast!! I am so in need of a girls trip! I've never done anything like that before. This gave me motivation to plan a girl trip with some of my besties. Sounds like a great trip...something I would love to experience. Your husband sounds like a keeper too! I'm so glad you are challenging yourself to go on weekly bike rides, because I love biking! It's relaxing to ride through the city, yes it can be chaotic with traffic, but if you go on a downtime and when the weather is right it can be a great time to self reflect and to think about Belize! Can't wait to see more from your fun trip! This looks soooooooo fun. It's great that you overcame some of your fears to celebrate with your girl!! Well aren't we fancy bike riding through Belize. LOL! J/K. What an amazing experience. I know riding through Downtown Houston isnt the same but its good to get out before allergy seasons hits hard. I look forward to seeing what the food community looks like there. Looks like such a great event. Glad you had fun ! Necessity of making a shoe which prevents from falling down led to the innovation of boat shoes as he cut siping into his shoe's soles.